Algiers (AFP) - The family of the Algerian proof-reader killed in an Islamist attack on French satirical magazine Charlie Hebdo have paid tribute to a man they said never sought the public spotlight. "He wanted to stay anonymous but his death has made him famous," said Djafar, the cousin of Mustapha Ourrad, who was among 12 people killed in the January 7 attack on Charlie Hebdo's Paris offices. "He wanted to be forgotten but we will never forget him." On Thursday evening, traditional Muslim burial rights were said for Ourrad in his family home in Beni-Yenni, northern Algeria. He was due to be buried on Friday in Paris's Pere-Lachaise Cemetary. In its first issue since the massacre, Charlie Hebdo featured a cartoon of the Prophet Mohammed on its cover holding a "Je suis Charlie" sign under the headline "All is forgiven". The publication has attracted condemnation from several countries for its depiction of Mohammed, which many Muslims view as a blasphemous insult. 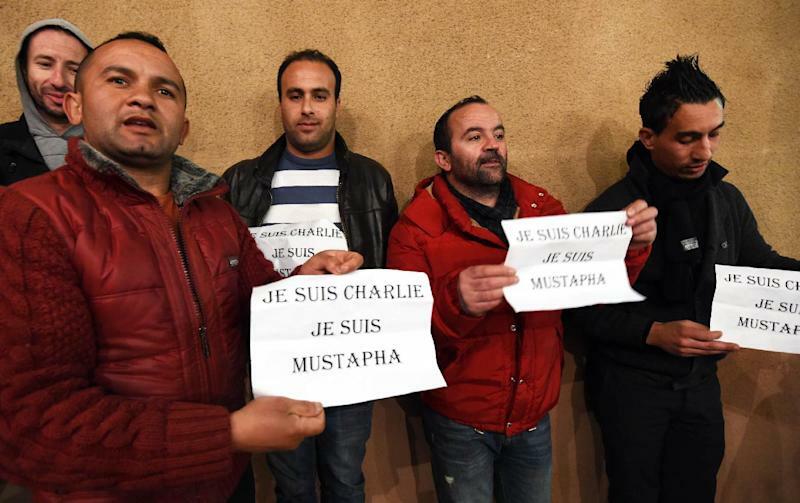 Ourrad's relatives on Thursday night wore shirts with the slogan: "Je suis Charlie, je suis Mustapha." Born in 1954, Ourrad left for France in 1981. It is unclear whether he renounced Islam while in France but villagers remembered him as a man who "had faith". One cousin of Ourrad said Mustapha had "escaped a black decade" during Algeria's civil war in the 1990s which killed about 200,000 people. "But it caught up with him in France," said another.